At the end of every quarter, you must submit your latest IFTA report. If you and your drivers haven’t kept up with the information for the past three months, it can be a nightmare. Send in a sloppy report and make some of these mistakes, and you could be staring down the barrel of an audit. You know it has to be done every quarter, but getting it together can still sneak up on you. If you submit your IFTA report late, you’ll pay a fine of either $50 or 10 percent of the net tax liability — whichever is greater. You can always decide not to do something, like submit your quarterly IFTA Report, but there will be consequences for it. Like the $50 fine or 10 percent of the net tax liability. That doesn’t go away, and yes, it still needs to be done even if you don’t have any miles to report for a quarter. You know when something isn’t right with the odometer or GPS you’re using. If something seems off, make a note of it for the report. If not, and those issues impact your final numbers, an auditor may want to take a look around later. That’s a much bigger hassle than making a few notes in a report. Yes, even the personal miles and unloading miles have to be reported. All miles — every single mile driven in a quarter — must be included in your IFTA report. This also means the miles at the end of the quarter. Don’t carry those over to the next report. Make sure they hit the IFTA report for the quarter they were driven in. 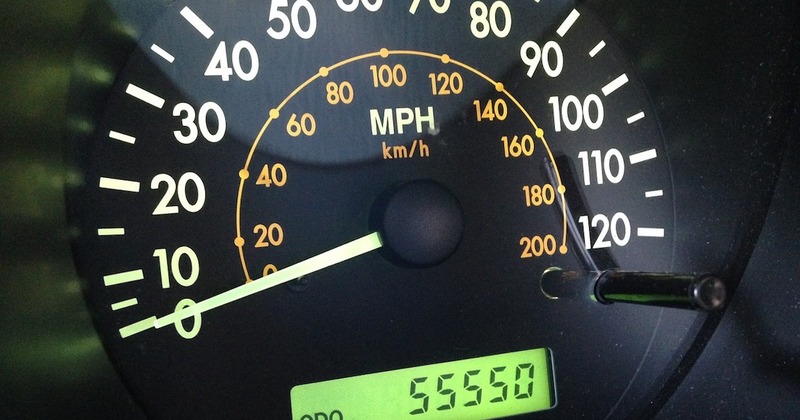 In general, it’s expected that your miles per gallon will stay relatively steady from quarter to quarter. A drop by 5 to 10 miles per gallon may be expected at times, but overall it shouldn’t change too much. Note any reason why it might have happened, and always double check your numbers in case the numbers were transposed or the math was off. Be cautious about the software you choose to use to help with your IFTA reporting. Make sure whatever you choose is using the correct calculations. Read reviews, and ask as many questions as possible. You’re responsible for whatever you submit and faulty software won’t save you from that audit. Make IFTA reporting simpler. Our reporting tool lets you pull mileage by state and for specific date ranges. You can also pull down the mileage data for each individual truck. Putting together your IFTA report gets easier with our help. Esta entrada fue publicada en IFTA Reporting. Guarda el permalink.